We represent approximately 18,000 public and private sector workers at DND establishments and facilities across Canada. The Union of National Defence Employees (UNDE) is one of the largest components of the Public Service Alliance of Canada (PSAC). UNDE members work in a wide range of occupations which include labourers, firefighters, ships crews, various skilled trades, administrative services, cleaning services, food services, technologists/technicians, linguists, computer programmers, logistics specialists, engineers, medical administrators, mathematicians, librarians, financial analysts, recreation/sports specialists, retail clerks, etc. UNDE works with the members and the bargaining agent (PSAC) to obtain fair treatment and respect in the workplace, employment security, fair pay and benefits, and safe working conditions. History of Canadian Labour: Museum of Civilization’s web page on Canadian Labour. UNDE works with the employer and local Health and Safety committees to ensure a safe work environment for all. UNDE liaises with the PSAC on health and safety issues. Member representatives receive training on the grievance process so that they can represent their co-workers in workplace disputes when consultation fails. UNDE provides professional Labour Relations Officers to represent members at the final level of the grievance process. 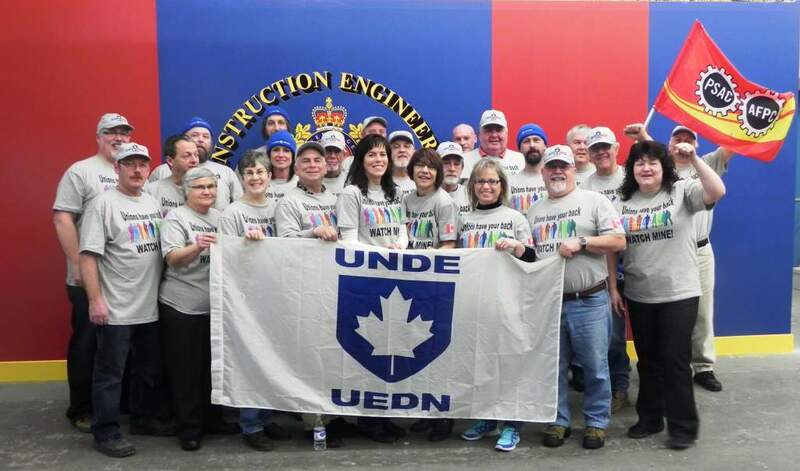 UNDE provides professional Labour Relations Officers who specialize in classification and work descriptions to advise and represent members who are public servants on classification and work description issues. UNDE employs a member of the bar to provide advice and representation in the Public Service Staffing Tribunal (PSST) complaint process. UNDE provides members training on a variety of topics which assist the membership. Most of the training is conducted by member-facilitators however the UNDE Labour Relations Officers conduct the Grievance Handling and Classification/Work Description modules. UNDE keeps members informed about the Union’s activities through the website, social media, and bulletins on specific topics. UNDE works to promote the membership’s goals and activities in the media. Our members are the Union and our structure exists to encourage the active participation of members. Unlike other organizations, UNDE is an inverted organization that is driven by the members from the Local level up, not top down. The Local is where members first turn for help; where they meet to raise and discuss concerns; where they elect their Local representatives; and where the collective bargaining process starts with the submission of bargaining demands and finishes with the ratification vote on the employer’s offer. UNDE has established a number of issue-oriented committees to provide forums for the exchange of information and the solving of problems. A Local Presidents’ Conference is held annually to allow Local Presidents to meet and discuss issues of common concern. 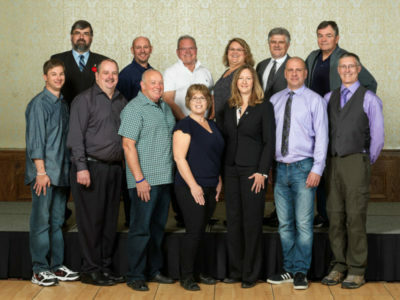 Outside of PSAC, UNDE is connected to the larger labour movement by an affiliation with the provincial federations of labour and to the Canadian Labour Congress. Every three years elected members from each Local meet at a national convention to establish the policies that guide the Union, allocate their financial resources and elect their national officers. The UNDE National Executive is composed of a full-time National President, a full-time Executive Vice President, 10 Vice-Presidents and a Human Rights Advisor. Each vice-president represents specific membership groupings. We are seeing profound changes in our workplace and in our communities. Our challenge is to adapt our Union strategies to help our members deal with these evolving transformations. For some time now, the National Office has had a valuable resource document sitting on a shelf in the office – the UNDE history. It contains information on our proud organization, originally known as the National Defence Employees Association (NDEA) until 1966, and now known as the Union of National Defence Employees. Every once and a while, a short story of our union is published on our website. We hope these ‘time capsules’ provide members with interesting glimpses into years gone by.